Chinatown, Singapore, chess game. Photo: Aik Beng Chia (ABC). Image©www.thingstodot.com. Chinatown in Singapore is a culture hub with ornate temples, museums and bustling streets lined with old shops and restaurants that serve traditional Chinese cuisine. I took a cab from Meyer Road and arrived at Chinatown in less than 15 minutes. Even though it was a regular working day in Singapore, the place was still crowded! 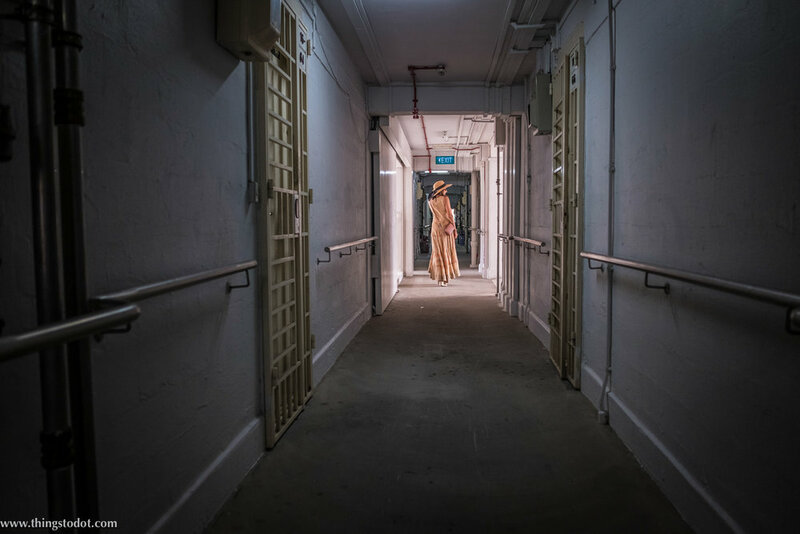 I was traveling solo as usual and was taking the help of a friend and photographer Aik Beng Chia or ABC as he is called, to show me around Singapore. In fact ABC is also the most followed street photographer in Singapore on Instagram! We met at the Chinatown MRT Station, a short walk through a departmental store from the taxi drop-off point. From the station, we walked through the street markets and enjoyed a drink at one of the side-street restaurants. Singapore can really get humid in the summer and it is good to remain hydrated! 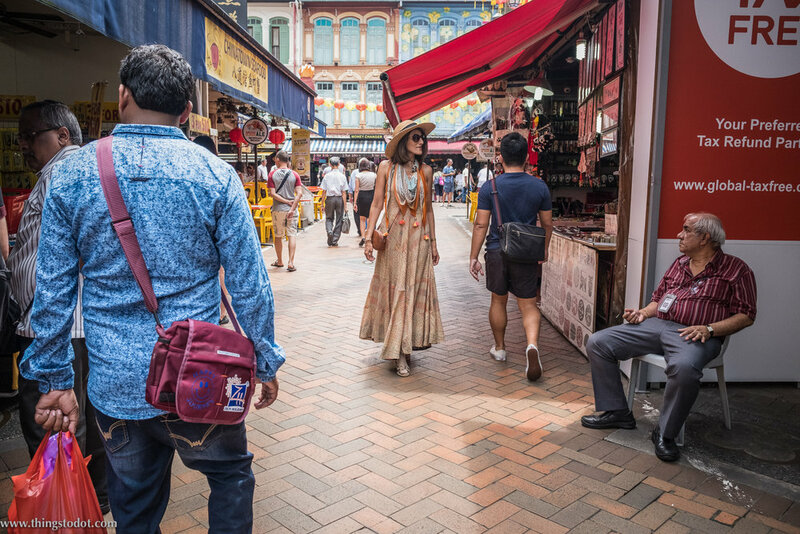 Apart from the regular tourist must-do's like the Buddha Tooth Relic Temple, the Sri Mariamman Temple and the Red Dot Museum, ABC took me to some great locations in Chinatown which I would not have visited otherwise. We saw murals and visited a Chinese comic book store with lots of character. We climbed an apartment building for an aerial view of Chinatown against the high-rise buildings of Singapore. 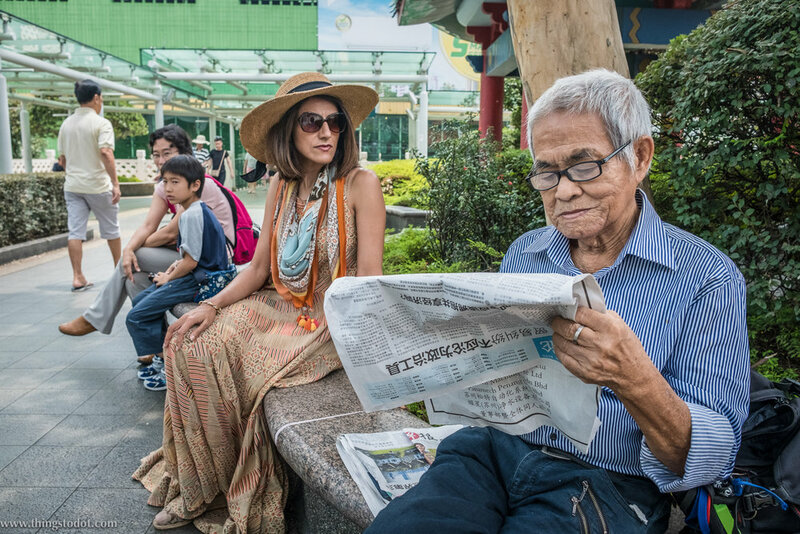 We experienced something of the Chinese culture as people carried on their mundane tasks, whether it was praying or reading a newspaper under a tree or even playing a game of chess! Chinatown, Singapore, wall mural. Photo: Aik Beng Chia (ABC). Image©www.thingstodot.com. Chinatown, Singapore, street art. Photo: Aik Beng Chia (ABC). Image©www.thingstodot.com. Chinatown, Singapore, comic bookstore. Photo: Aik Beng Chia (ABC). Image©www.thingstodot.com. Chinatown, Singapore. Photo: Aik Beng Chia (ABC). Image©www.thingstodot.com. Chinatown, Singapore, street activity. Photo: Aik Beng Chia (ABC). Image©www.thingstodot.com. Chinatown, Singapore, man praying. Photo: Aik Beng Chia (ABC). Image©www.thingstodot.com.